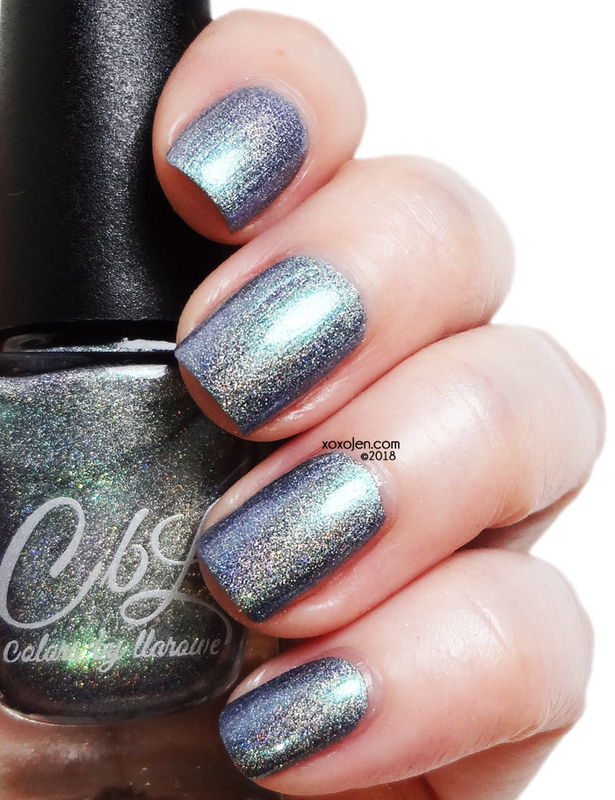 Colors By Llarowe has created a silvery holo for the for Hella Handmade Creations (HHC) April launch which will be available on the Hella Handmade Creations website April 14th - 21st. teal prismatic holo with purple and pink shift with a strong gold flame. Three multichrome shifting shades I love plus it is holo! Can't go wrong with that! I wore two coats with topcoat, the formula was fantastic. The shift in color was difficult to capture on camera, but it definitely has many colors!